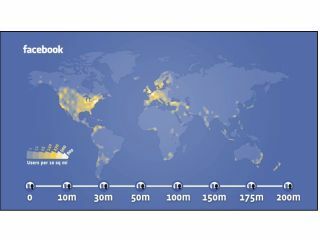 How much are your Facebook friends worth? About half what they were two years ago - just $50 (£31) each - if a new valuation of the social networking company is accurate. Facebook today announced that Digital Sky Technologies (DST), an investment group with significant stakes in Eastern European and Russian internet businesses, has made a $200 million (£125 million) investment in the company. For that chunk of change, DST will get preferred stock representing a 1.96 per cent equity stake at a $10 billion (£6.3 billion) valuation. This reflects a slump in the company's value of $5 billion (£3.1 billion) since its last round of funding in 2007, when Microsoft paid $240 million for a smaller, 1.6 per cent stake. However, it's good news for Facebook employees, who last year were forbidden to sell their shares in the company until an investor could be found to buy them. DST has said that it's planning to purchase at least $100 million (£63 million) of stock from current and former employees. DST's main assets account for over 70 per cent of all page views in the Russian-speaking internet and its social networks are the market leaders in more than 13 countries, addressing a combined population of more than 350 million (compared to Facebook's 200 million).